This stitched out so cute. This pattern sewed perfectly..special thanks to the gals at embroidery designs for making the pattern small enough to fit my hoop...great customer service!! 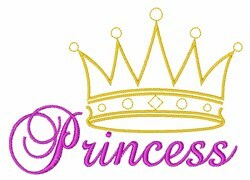 Be princess for a day with a great crown. 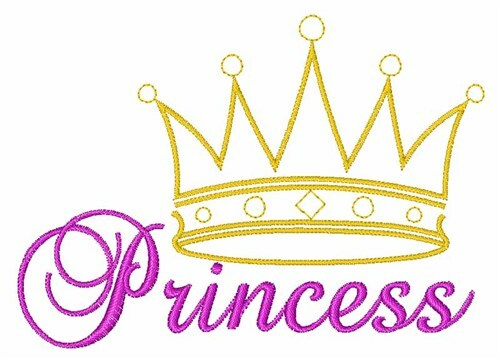 Satin Stitch is happy to present Princess machine embroidery design which has 5798 stitches and is [101.94 mm x 72.73 mm] large. If you would like to view more embroidery patterns please search on our embroidery designs page.